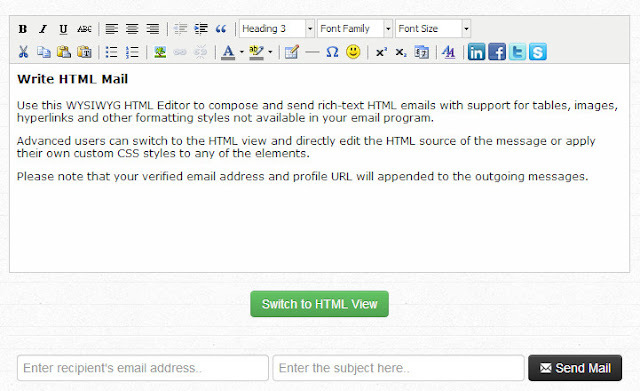 HTML Mail (Internet Tools) ~ Android Forever! Developer Quote: "Compose rich-text HTML mails (with inline images and tables) and send them to anyone with a click. Your messages will look the same across all email clients." Plain text emails have their place, I'll admit, but there are times when they just won't do. Can we all agree on this? Good. So, when you want to jazz up (what a dated expression!) your emails, check out this web tool. It's got a WYSIWYG (what you see is what you get) editor so you can avoid the coding, but you can also easily switch to HTML view to fiddle with the coding yourself. A very useful tool. Check it out!